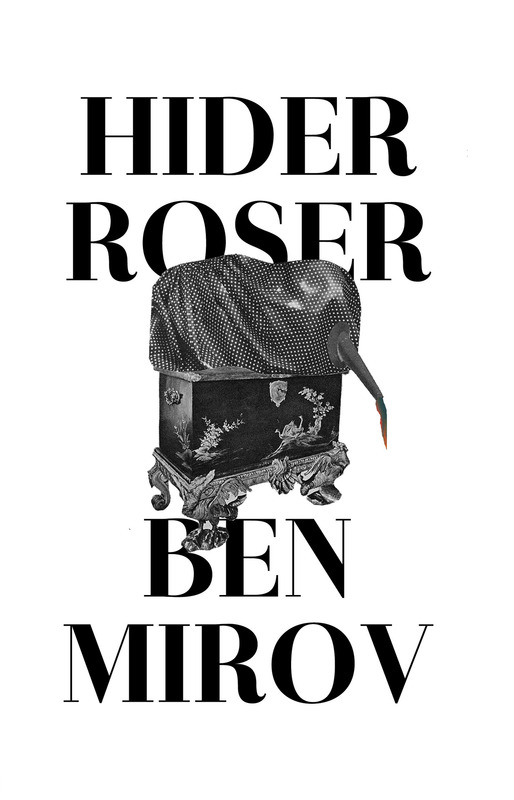 Ben Mirov’s second book of poetry, Hider Roser, is an eclectic, irreverently funny, and unexpectedly sincere collection published by Octopus Books. Even after the first poem, “Containment Unit for Mysterious Green Vapor,” which begins: “I shouldn’t talk about myself that way./ I also have feelings./ Anger at the cucumber./ Disappointed neon blue./ Running through the pine forest/ from robotic wolves of happiness,” I was instantly hooked on the wit of this collection. Mirov’s sudden twists of language and his voyage into the imaginary often create an absurd and comical collage that is both captivating and seemingly lighthearted. After a more studied read, however, this lightheartedness yields to concerns about poetry, identity, and personal relationships. Like the windows and masks that manifest as images within Hider Roser, and like the title itself, an anagram that can be rearranged with some effort, there is a guarded sincerity behind each humorous evasion in Mirvo’s collection. This vulnerability comes to the fore in unlikely ways. As Mirov explains in “For Ben Mirror”: “Dreaming is a different matter./ It takes a lot of cocoons/ to make a dream and even then// you’re the only one around/ to appreciate the architecture./ You have no idea who you are.// You think you’re someone/ named Ben Mirov./ Thursday, June 11, 2009” (26). 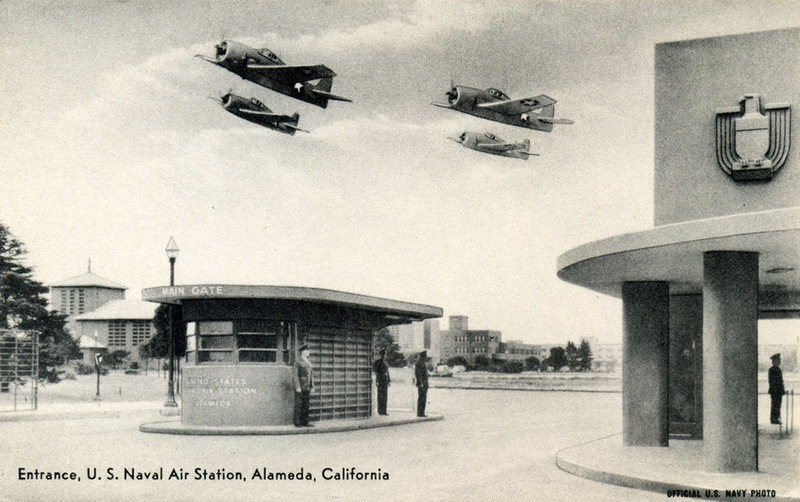 Even in the reflective moments of this book, there is always a surreal underpinning. In this poem and many others, the speaker investigates his own identity. It seems to me that one of the themes that Mirov’s poetry rehashes in this collection is that identity is a sort of lie that we tell ourselves for the illusion of a seamless existence. And of course, in some ways this is true, no matter how much we try to divest ourselves from it. Mirov’s collection constantly points to the absurdity of being a poet, of being a person, of existing at all. As much as Ben Mirov’s Hider Roser is an exploration into comical and nihilistic absurdity, it is also a deep meditation of what it means to write poetry. For Mirov, one of the tasks of the poet is to render things as they are–either in his imagination or in reality–as acutely and skillfully as she or he can. In this book, there is a never ending play between the real and the imaginary, the possible and the impossible.“I am trying to figure out the secret/ of artificial intelligence,/ how to make something get up and live// all by itself. I believe/ this is possible and my beliefs/ though flimsy and hollow like yellow reeds// bent low against the wind/ down by the black river where dreams/ kneel down to die in peace/ are the only things that confuse me” (20-21). Poetry is an attempt to bring something to life, not just for the poet, but for the reader. In Hider Roser, Mirov has found some ways to make this possible, through humor, through absurdity, and most importantly, through a belief that this can be done. Cosmo Spinosa is a poet and critic living in the Bay Area. He holds an MFA from Mills College. Tim Leonido’s Call Home is a zip ﬁle downloadable from Gauss’s website. The project contains a collage of recordings of people talking over the phone, usually in short segments between two seconds and a minute and a half long. Encountering these recordings, the listener pieces together that the project consisted of the artist paying people to record a thirty minute phone conversation. Later, the artist collected this raw material and fragmented it into a sequence of edited recordings. The result is a chimera of found language, sound poetry, and conceptual art that delves into everyday communication in a way that can’t be replicated using poetic artiﬁce. Whereas most poetry that uses the everyday attempts to replicate speech in a contrived way, Leonido’s project is able to engage with it directly and in its own environment. By extension, this work is a study of speech itself–how it is used and who uses it, what people talk about and with whom. Perhaps the most compelling aspect of this project is the way that it effortlessly models everyday, often boring, language and subject matter. Nevertheless, it registers that subject matter as a work of art. Call Home appeals to the voyeuristic auditor in the way that reality TV appeals to a voyeuristic viewer. It affords them a detachment from the interlocutors that it records, and this detached disinterest refocuses the listener’s attention on the generalities of everyday conversation. listener’s attention to the thematic congruences and clashes that makes Call Home a surprising and entertaining listen. On my ﬁrst listen through this project, I found myself writing down people’s topics of conversation. These ranged from colonoscopies to emu farming, Steve Martin, and Jerusalem. Though those were some of the more grabby conversations, people seemed to be talking most often about their health, their families, the places that they lived, and their livelihood. work and can’t be ignored. The fact that our words and actions are constantly being monitored, and the relative ease with which this is achieved, is demonstrated in Leonido’s Call Home. Of course, it is absurd to assume that even if we are being monitored all of the time, that there is anything “worth” listening to. Leonido’s project is subversive for this exact reason–it exposes systems of surveillance and uses them for its own artistic ends. It upsets the listener’s expectations of what is valuable or worthwhile information. At the same time, Call Home demonstrating that this information is nevertheless being collected and used not only locally within the parameters of the project, but also globally as a state apparatus. Cosmo Spinosa is a poet and critic living in Oakland. He holds an MFA from Mills College. Graham Foust’s To Anacreon in Heaven and Other Poems is replete with the signature mishearings and misgivings characteristic of Foust’s aesthetic. What has always struck me in Foust’s work is his ability to defamiliarize common turns of phrase as a means to evoke the absurdity of language. “I keep my mouth to myself.// I put my brains where I can see them.// I’ve got my hands where I can make the poem worse.” Through his sentences, Foust creates a sort of anti-poetry that forces his readers to critically engage with everyday communication. 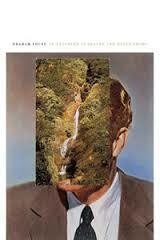 His lines twists words and phrases into likenesses of themselves and leaves behind traces of their original meanings. In reading these poems, we become detectives of our own language, putting back together words we have heard so many times before from new configurations of the same. Doubt and failure hang in the balance of these poems, which are always conscious of what they are doing, and more importantly, what they fail to do. As Foust says in “Ten Notes to the Muse”: “A poem’s an empty lemon in the mouth of a crow on a phone line.” So much of Foust’s work in this volume obsesses over answering the impossible question of what the poem is and what it does. It is clear that there is no answer to this question, but one thing that Foust’s poems always seem to do is try. There are no epiphanic moments to be found here. Instead, we find carefully crafted disjunction. In this paratactic mesh, often leaning towards pessimism and discontent, words reveal themselves to be both a frustrating and liberating vehicle for thought. “It’s not entirely correct to say that August is like having blood dumped on you, but let’s, until we conjure something else.” Words approximate meanings. Words approximate themselves. There is no exact relation here, between a thing and its metaphor, between a thing and its name, but language is liberating nevertheless in its attempt to convey a feeling. Often, this volume reduces things to their most basic elements–to language and to a body, to a faint and approximate meaning, as “[a] sheet of plywood is a picture of a tree,” or “[the] ocean’s over there; the eye’s a drain.” And though these are only approximations, they are complex and stunning. If the function of poetry is to turn language on its head, in the best moments of To Anacreon in Heaven, Foust does just that, as when in his single-line “Sonnet” Foust explains “I sing as if I’m eating what I’m singing from a knife.” The circularity and complexity of this sentence is something that we see throughout Foust’s book, and something he has cultivated throughout his corpus. Foust’s poetry is comprised of a resistance to the language that forms it. It is resistant to the lyric tradition it engages with. It is not a field guide or an anthem, as some would suggest. It is more like a picture that we are watching being erased.